Steve van Zadelhoff's amazing year continued with a victory in the partypoker Title Fight worth $43,000. Steven van Zadelhoff of the Netherlands is having a year to remember. The Malta-based Dutchman can seemingly do no wrong at the virtual felt. Van Zadeloff won the PokerStars World Championship Of Online Poker Main Event in September and got his hands on $1,624,502, and since then has recorded more than a hundred cashes and dozens of victories. His latest win came in the $250,000 guaranteed Title Fight at partypoker. Van Zadelhoff, playing as "DBergllin," was one of 1,050 entrants in partypoker's biggest weekly tournament, a $215 buy-in event. Van Zadelhoff took full advantage of the $40,000 overlay by topping the field and walking away with the tournament's $43,000 first-place prize. There were also victories for "MentulaMagna" in the $100K Gtd High Roller worth $19,636, for Vitaliy "Wital11" Pankov in the $100K Gtd Main Event Warm Up worth $15,121, for "Nemekiss1" in the $100K Gtd Title Fight Warm Up worth $17,715, for "oi-oi-oi" in the $100K Gtd High Roller Warm Up which was worth $19,878 and for Sam "TonyYeboah96" Lunt in the $50K Gtd Main Event Kick-Off worth $9,425. The biggest online win of the weekend happened at PokerStars where the $215 Sunday Million ended in a heads-up chop. Germany's "tobtheking1" finished as the tournament's runner-up and secured a $112,465 payout, while Canada's "pokerjeff370" emerged victorious and added $142,465 to his lifetime winnings. There was a familiar name at the top of the $2,100 Sunday High Roller leaderboard, that of Viktor "Isildur1" Blom. 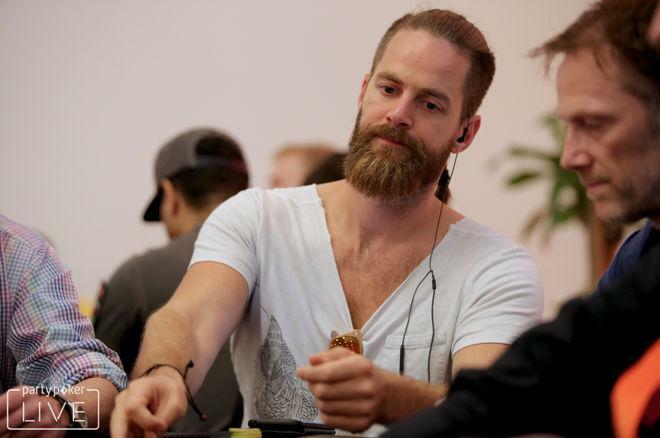 The popular Swede topped a field of 102 players to win the $46,721 first-place prize. Blom also went on to win the $530 Omania High Roller for $14,492 after defeating fellow Swede Johannes "Greenstone25" Korsar heads-up. "MalakiasCF" is $52,250 richer than a couple of days ago thanks to him triumphing in the 888poker $120,000 Whale. Some 83 players entered the $1,050 buy-in event and it was MalakiasCF who came out on top to secure $33,000. The UK-based Spaniard also won the $100,000 Mega Deep for a cool $19,250, which rounded off a highly successful day at the virtual felt. Malta's "sitiolibre29" was the victor in the $100,000 Wonderland Main Event, a result that netted him $21,384 for his $109 buy-in, while in the $50,000 Wonderland Mini Main Event, Ian "Simpioni" Simpson turned $55 into $12,546. A shoutout also to Rafael "rafitia" Freitas of Brazil who won the $30,000 Sunday Great 8 for $6,812. Want a mention in this article? First you'll need an account at these online poker rooms. Get the best deposit bonuses here.